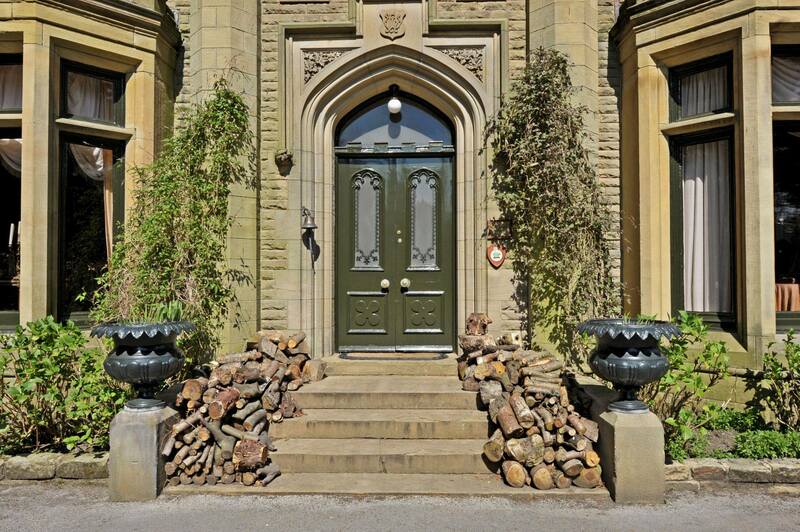 Rockwood House is an unassuming and little known property tucked quietly outside Denby Dale to the south-east of Huddersfield. In early times Denby Dale was sparsely-populated but like so many other Pennine hamlets it grew with the dawn of the industrial revolution. Not surprisingly, the area developed a small textiles industry and the population spread. 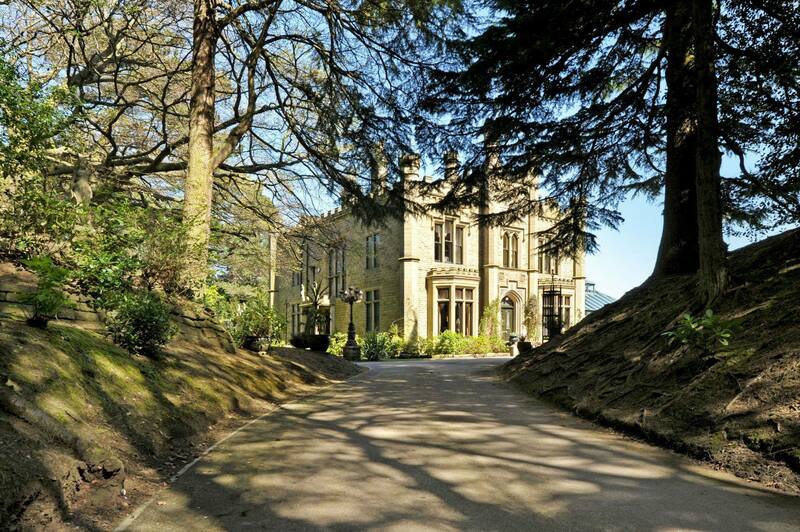 These circumstances were the reasons why Rockwood House was built and can be called one of those ‘brass castles’, properties built from the proceeds of commerce and industry. 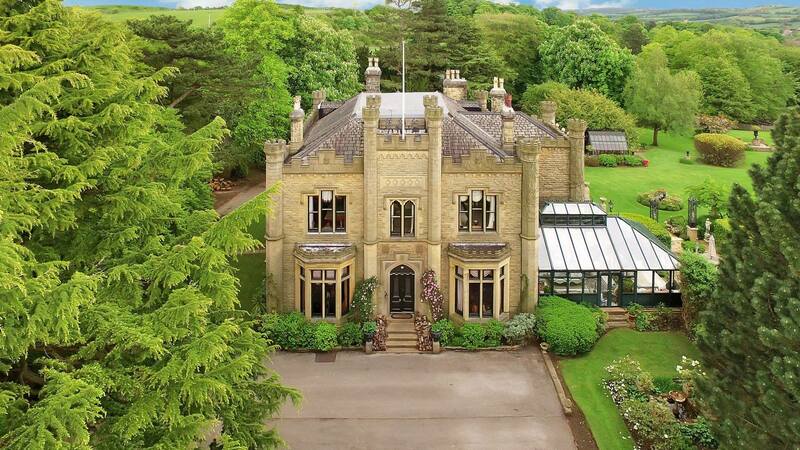 Rockwood House was built in 1870 for Walter Norton, the second son of Joseph Norton who had built Nortonthorpe Hall at Scissett. Along with his brother Benjamin and his cousin, Thomas Norton of Bagden Hall, they ran a ‘plush’ manufacturing business, Norton Brothers & Company Ltd, manufacturing fancy shawl, mantle cloth, dress goods and rugs at Nortonthorpe Mills. Walter was chairman, a role he appreciated, and held a similar position at the Denby Dale Gas Light Company. Money was something the Norton family weren’t short of, but Walter quickly earned his own fortune. He married his cousin, Elizabeth Norton, the eldest daughter of George Norton of Bagden Hall, in 1859. 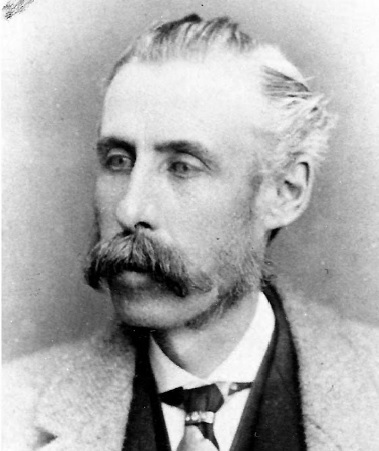 He gained a reputation as a keen sportsman and founded the Rockwood Harriers Hunt in 1868 of which he was Master for many years and which still exists today. It was after the hunt that he named Rockwood House. Eleven years after his marriage he bought 500 acres of land on the far side of Denby Dale, just far enough away from his employees who worked on the other side of the village towards Scissett. 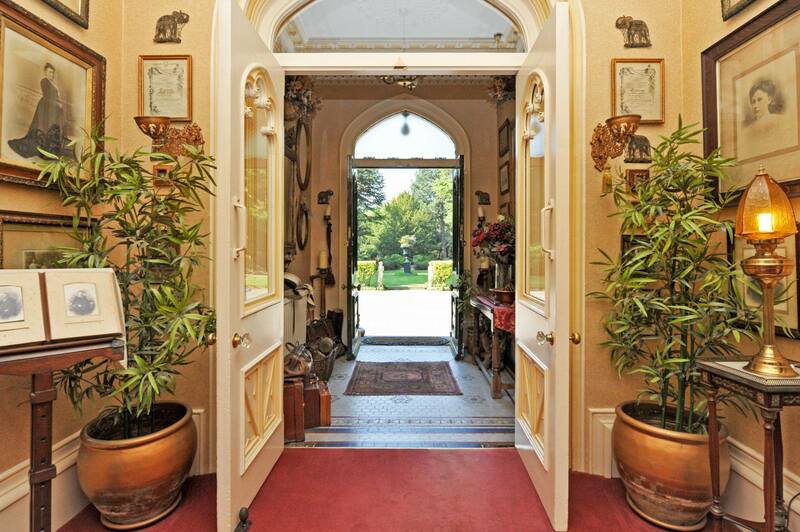 The architect of Rockwood House is unknown but it was typical of a small Victorian country house complete with castellations, a central front door and bays either side. Then, as now, its appearance was deceptive as the interior was much larger than its appearance suggested . 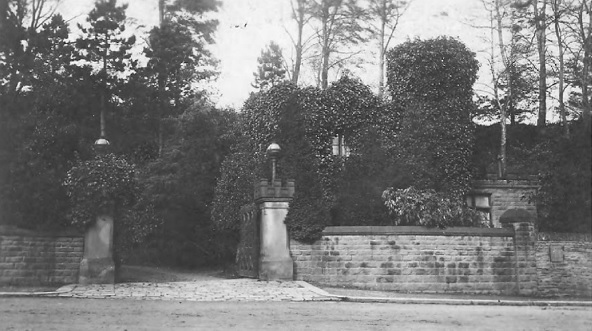 With no heir to Walter Norton the contents of the house were sold at auction but Rockwood remained within the family. It passed to Dr Duncan Alistair MacGregor who stayed for the next ten years. He had married the daughter of Dr Clayton, of Highfield House in Denby Dale, who also happened to be the niece of Walter Norton. 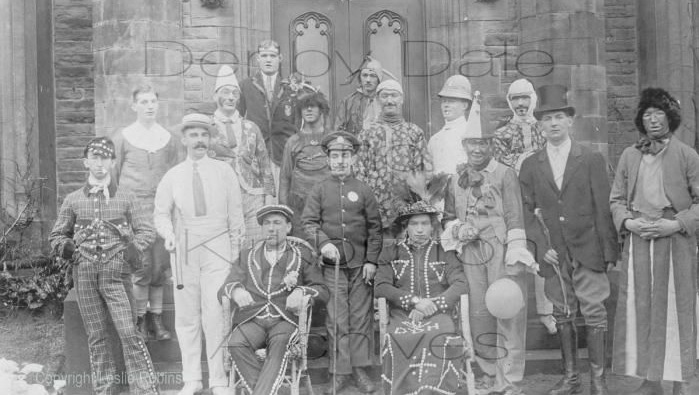 Following MacGregor’s move to Devon the house was occupied by Wilfred Dawson J.P., a typical Yorkshire councillor, who had entered the Council of the County Borough of Huddersfield unopposed at a by-election of 1917. He became Lord Mayor between 1921 and 1923 and later became chairman of the Finance and Watch Committee. His greatest achievement had been the purchase of the Ramsden Estate by Huddersfield Corporation in 1919, at the time the largest purchase of valuable land ever made by a British municipality. Outside of council affairs he was a director of W. Bentley & Co, stock and share brokers, as well as being a director and vice-chairman of Huddersfield Town Football Club. Very little is known about Henry Gordon Cran and his purchase of Rockwood House was likely to have taken place during 1924. However, the house was reported to have been sold by Cran by private treaty in 1925. By now the estate consisted of approximately 30 acres including three paddocks with timbered grounds and walks. 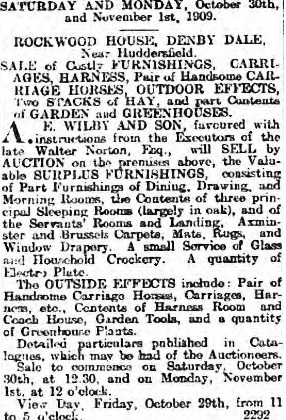 It was a far cry from Walter Norton’s 500 acres which had been sold off in various lots over the years. Henry Gordon Cran, a former member of the Royal Regiment of Artillery, had married Dorothy, the daughter of William and Mary Broadbent, of Huddersfield. Her father was the son of Thomas Broadbent, who had founded an engineering and millwright business in 1864. After repairing and refurbishing several centrifugal extractors, installed as dryers in the textile industry, he had seen potential for its application in other industries which had a need for separating liquids and solid. In 1870 he had produced his own extractor to remove water from washed wool and cloth and became a rich man. He died in 1880 and the business was eventually passed to William Broadbent and his brother Horace. The company, known as Thomas Broadbent and Sons, would eventually manufacture a diverse range of products including steam engines, cars and overhead travelling cranes. It was into this family that Henry Gordon Cran married and inevitably found himself working as an engineer at Thomas Broadbent and Sons. In reality his job role was far more important than suggest. He was a designer and inventor and many patents were registered under his name. Cran became a wealthy man and was able to afford the grandness that Rockwood House provided. It appears that the sale of 1925 did not proceed and the Cran family remained at Rockwood House until at least 1949 when Dorothy died. Henry died in 1971 at Threlkeld in Keswick. 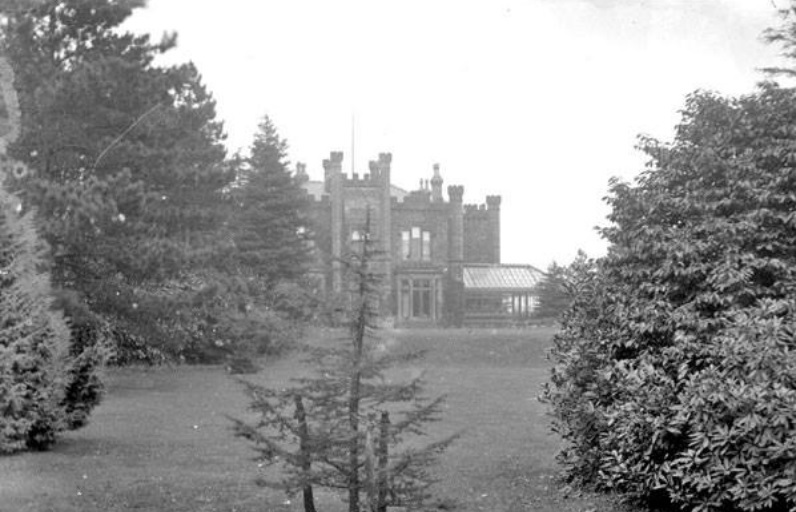 Matters are confounded by reports that Colonel Alfred Whiston Bristow was living at Rockwood House in 1945. 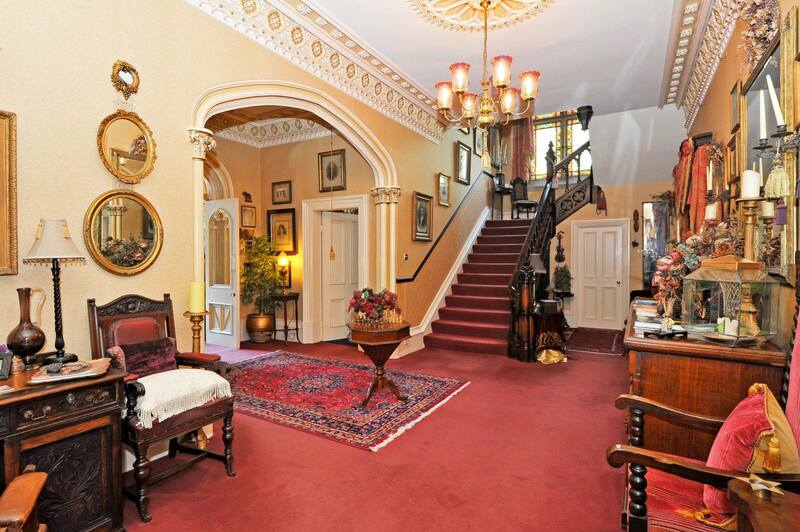 The house is listed as being owned by Henry Gordon Cran but it is conceivable that he may have rented it to Bristow. Any doubts over ownership and tenancy of Rockwood House pale in comparison after 1950. It is reported that the house passed through various owners and one significant name is mentioned. 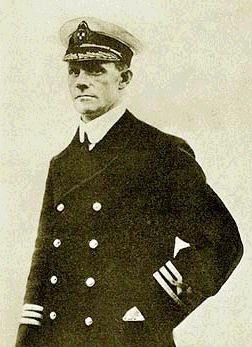 He was Commander Henry George Kendall (1874-1965), a British sea-captain who survived several shipwrecks and was involved in the capture of Dr Crippen. He was also the captain of RMS Empress of Ireland which sank in the Saint Lawrence River after colliding with a Norwegian coal freighter in 1914. Alas, I am unable to confirm his connection with Rockwood House. He died in a nursing home in London in 1965. 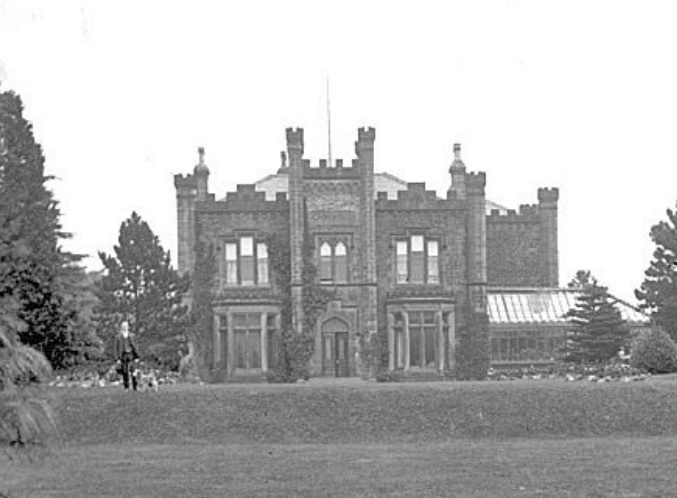 Another account suggests that Rockwood House became a private school, known as St Aiden’s, and lasted until 1964. This is confirmed by Roy Fisher, a local, who says it operated as a school in the late 1950’s and early 1960’s, although he believes it was known as Rockwood House School. His mother worked there as a cleaner and he remembers the closing down sale when lab equipment, coat hangers and various other items were sold off. By the late 1960’s it was once again a private home and he remembers attending a party hosted by the daughter of a ‘very senior naval officer’. 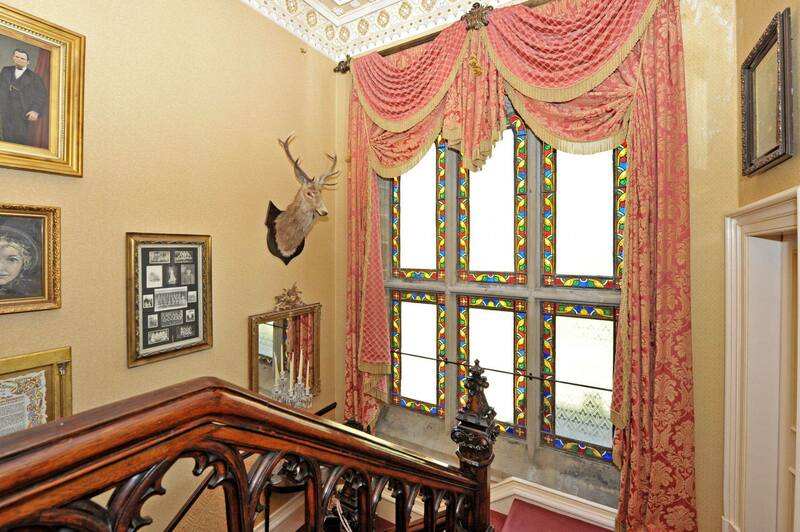 Rockwood House was bought by Michael Winch in 1980 who carried out extensive renovations to the house and grounds. During the miners’ strike of 1972 he had the enterprising idea of selling homemade decorated candles from the back of a van. This was the start of Candlelight Products Ltd which now employs 130 staff in the UK and a further 2,000 in the Far East. The house has remained in the family since but it was put up for sale, along with 7 acres of land, for £1.85 million in 2016. Update: In early 2018 the house was withdrawn from the market. Its owner, Mike Winch, has decided to stay at the house and is currently renovating both the interior and exterior. Thank you, Elaine. Very valuable information.